Riverstone is a paradise for those who love to fish, with several stocked lakes for catch-and-release fishing. Anglers can cast a line from a community fishing pier or fish from the shore of Lake Riverstone. 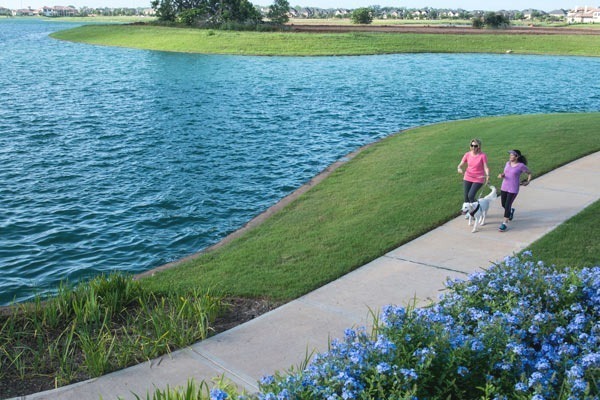 Walking trails line some waterways in the community, allowing for waterside strolls, and residents can enjoy time on the water in kayaks, canoes, and other small boats. Shorelines planted with natural grasses maintain environmental aesthetics and provide nesting space for indigenous birds and animals.